Where is the news about projects stalling in London? In contrast to the media hype and noise about proposed developments, new buildings being commissioned etc. there is a deafening silence surrounding stalled and failed projects in London. Our office has a good view of 22 Bishopsgate and it appears that, for the 2nd time this year, there is very little to nothing going on up there. A colleague who pays more attention to it than me says the cranes have barely moved in a month. Nothing online about this, just ageing articles about how 'exciting' the project is and that tenants are desperate to move in (no they are not, plenty of premium office space available in the City). There are also rumours that work on the premium flats at Old St has stopped (no one sane would want to live on that roundabout BTW), but again, no media coverage. I met up with an old mate at the weekend who works in sales, software rather than property, but big deals nevertheless that sometimes go sour. He said that firms remain tight lipped and can't see the point of releasing bad news. If their hand is forced they will try wait until a solid plan B can be fanfared at the same time, ideally sacking a senior manager as a fall guy, so the **** up is associated with a that person, not the ongoing operation. On top of this philosophy, and online and print media fretting over advertising revenue if they publish and be damned, the City of London Corporation are almost certainly interfering in the PR aspects of these project, especially with Brexit hanging over everything. On one level, all rather depressing and frustrating. On the other, if the situation escalates a multitude of projects fail badly, publicly and simultaneously, making it painfully obvious to the nation and the world that London is in real trouble, we might finally see the economic reset, property crash and 15-25% depopulation this city needs. All great cities rise and fall. This isn't "the fall of London" though - a city that's been significant since Roman times and will continue to be so. This is just another recession coming - it's always the case that skyscrapers are commissioned in a boom but finished in a recession, given how long they take to build. It goes right back to the Empire State Building - completed in 1931 just in time for a decade of Great Depression. Wasn't the "fall of New York" though. Well, I'm looking for a new job in the data analytic market, and a lot of companies are still hiring. I'm surprised, even for a sector like mine. Its an ill wind etc. - in the 80s IT boom people were losing jobs in manufacturing, mining, transport left right and centre. That was the double win for techies - raging wage inflation while trouble in the general economy pinned back houseprices. Many of my cohort bought 3 and 4 bed houses in good locations as their starter property with no BOMAD. They go them so cheap that the 89-91 crash just took a chunk out of their equity on paper only. Individuals who get a good job with prospects going into a recession which then takes them through to the recovery will be made for life (if they are reasonably sensible). Also all change creates work. Even a depression creates new roles and opportunities. 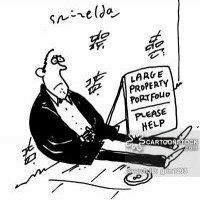 Keep agile with no/low debt, no ties to an area, only buy property that will be easy to sell or let, make friends outside your local area as well etc.